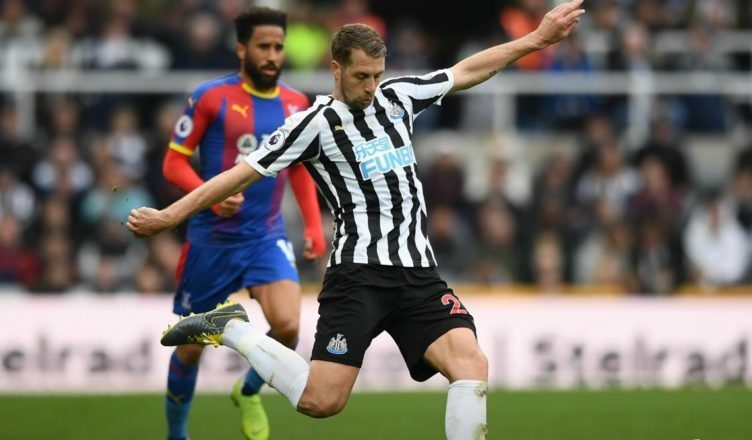 Official club announcement confirms devastating Florian Lejeune injury – NUFC blog – Newcastle United blog – NUFC Fixtures, News and Forum. The club have released a statement on Florian Lejeune, confirming the Frenchman has suffered a ‘significant knee injury’ – ruling him out for the remainder of the season. The full extent of his injury is yet to be made clear, but it seems he has seriously damaged the cruciate ligaments in his left knee – the opposite knee to the one that went over pre-season just last summer. “Newcastle United can confirm defender Florian Lejeune sustained a significant knee injury during Saturday’s game against Crystal Palace. “The 27-year-old was forced off on a stretcher during the second half at St James’ Park after injuring his left knee – not the knee injured during pre-season which saw him miss the start of the campaign. Newcastle United can confirm defender @lejeune_florian sustained a significant knee injury during Saturday's game against @CPFC. He has been ruled out for the remainder of the current season. A devastating blow for the big centre-back, who’s luck with injuries has been absolutely non existent in the few years he’s been on Tyneside now. He’ll do well to be back before the year is out if it’s a real bad one – and it looks like it is. Get well soon Florian! You’ll be missed..
First-team trio could now miss Crystal Palace clash – Schar and Shelvey set to start?